New Delhi : Congress President Rahul Gandhi had been accusing Modi government of favouring Reliance in the Rafale Jet plane deal with France. Recently, he even quoted a media report to frame 'chowkidaar as chor'. Bharatiya Janata Party (BJP), on the other hand, have been trying to tell people that all his claims are a mere bunch of lies. In a recent development, the BJP party listed out 10 allegations Rahul Gandhi had made on Rafale deal, attaching them to a fact check to prove that they were lies. "It's difficult to track all his lies, but we've tried to track major lies peddled by him on Rafale. A heads up before his today's quota," the BJP said before beginning their counter-offensive. 1. Rahul Gandhi claimed to make Reliance an offset partner was a tradeoff for Dassault to get the deal with India. 2. Rahul Gandhi Supreme Court found grave irregularities in the Rafale deal. 3. He claimed that a Ministry of Defence official was punished for submitting a dissent note on the deal. 4. That according to Rahul Gandhi, former French president Fracois Hollande, Dassault was told to take on Reliance as an offset partner by the Indian government. 5. 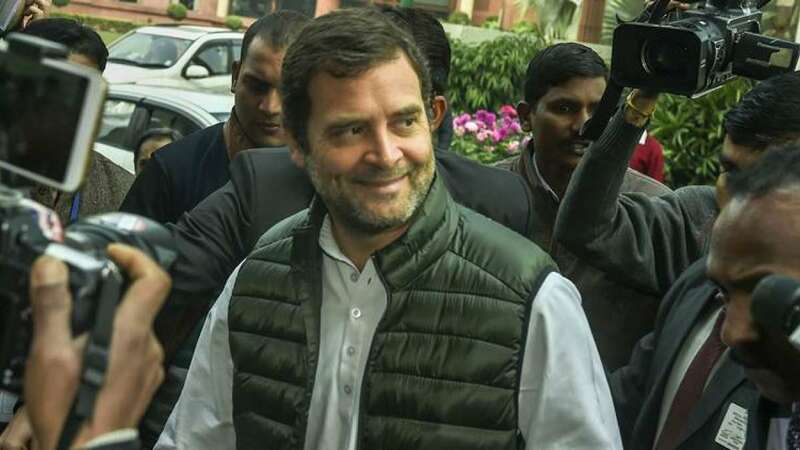 Rahul Gandhi said current French President Emmanuel Macron personally told him there is no secrecy clause in the Rafale deal. 6. That Rahul Gandhi has stated multiple prices for the Rafale jets in the UPA deal. 8. Rahul Gandhi said UPA negotiated price of Rs 526/520/540 crore per aircraft, while NDA settled for Rs 1,600 crore. 9. That the deal signified crony capitalism. 10. Rahul Gandhi shared a cropped image of a MoD note that indicated government had held "parallel negotiations" with the French. The BJP ended its onslaught saying, "We have tried to document most of Rahul Gandhi's Rafale Lies. But given his superhuman capabilities of lying, we realized it's humanly impossible to document it all." The Bharatiya Janata Party's reaction comes a day after Rahul Gandhi quoted a report and document published on 'The Hindu' to call Prime Minister Narendra Modi a thief.